PATRA was honored to receive the 2018 Friend of the AMA award. 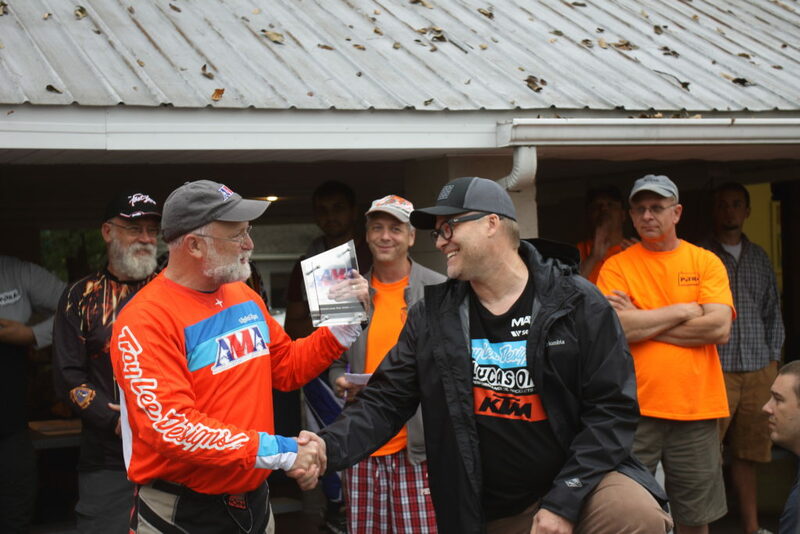 This award was established in 2012, it is presented to one or more in the motorcycling community, including clubs, companies, sponsors or partners, who have strongly supported the AMA mission and its programs. In April 1973, a very energetic guy named Wally Crawford decided to form an organization that would organize all the off-road riders and clubs that were scattered across the state. Our work requires close coordination with the Pennsylvania Department of Conservation and Natural Resources, state forestry officials, the state legislature and recreational, environmental and community stakeholders. As you can see from our history, our mission is to ride, protect, and conserve the trail systems of the Bald Eagle State Forest. We are very proud to be considered a friend to the AMA and support all those who enjoy the trail. A very proud moment in our 45 year history.